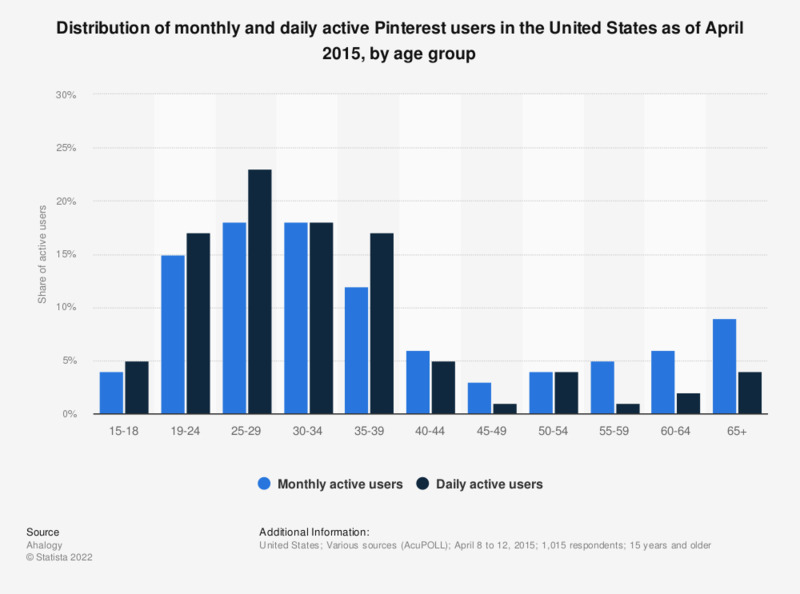 This statistic presents the age distribution of monthly and daily active Pinterest users in the United States as of April 2015. During the survey period, it was found that 23 percent of daily active Pinterest users were between 25 and 29 years old. Do you currently have a Pinterest account?